In November 2014, during the Community Psychiatry Forum taking place in Koszalin, aware of the continuous lack of reform in the mental health care system, we established the the National Mental Health Protection Programme Initiative. In July 2015 a petition defending the National Mental Health Protection Programme (NPOZP) was created. The petition reached many people willing to sign it, thanks to the Community Psychiatry and Rehabilitation Unit and the National Mental Health Protection Programme Innitiative. The beginning of September 2015 saw the petition submitted in Voivodeship Offices in a few of the largest cities in Poland, in some, accompanied by street protests. In August 2015 an event was posted to Facebook: „NIE CHCĘ aby wbito gwóźdź do trumny POLSKIEJ PSYCHIATRII”. 18 thousand Internet users saw it, and almost 8 thousand declared their support for the cause. The subject was widly discussed on social media where a group formed strong enough to become a lobby for politicians. The petition defending the National Mental Health Protection Programme (NPOZP) was also shared on Facebook. In September 2015, members of the Warsaw Fountain House, representatives of the “Open the doors” Society from Cracow, experts by experience from the eFkropka Foundation, family members from the Polish Institute of Open Dialogue from Wroclaw, along with representatives from the Community Psychiatry and Rehabilitation Scientific Unit of PTP (Polish Psychiatric Society) participated in the session of the Sejm Health Comitee. WE STOPPED THE REPEAL OF THE National Mental Health Protection Programme!!! We intend to continue our efforts, hence the idea for this Congress to be a recurring event. Intitiators for this event (in alphabetical order): Marek Balicki, Andrzej Cechnicki i Jacek Wciórka. 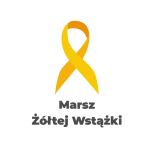 National Mental Health Protection Programme Innitiative approached the eFkropka Foundation from Warsaw to organise the First Mental Health Congress. On March 6, 2017 an Open Letter to the Prime Minister Beata Szydło was sent to accompany the First Mental Health Congress.